While buyers don't really care much about a commercial vehicle's century sprint timing, it is still nice to know how fast your vehicle is compared to its rivals. Or in this case, its brothers in the family. 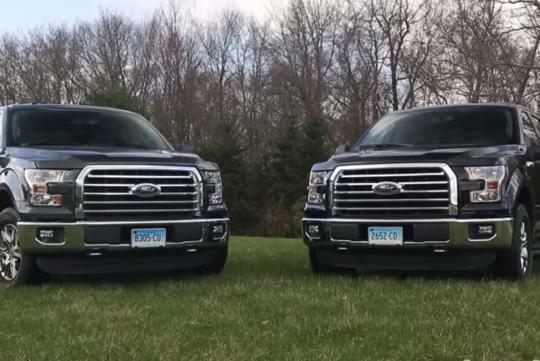 According to Consumer Reports, which prides itself in professional testing of products which anyone can buy, discovered a surprising find within Ford's recently launched aluminum-bodied truck F150 truck line-up. Usually, it is a given that the base variant is slower than the bigger-engined variant in the same line-up but in Ford's case, the smaller-engined model proved to be the faster one. Producing 325bhp and 508Nm of torque, the 2.7-litre V6 turbo manages to hit 100km/h from a standstill in 7.0 seconds while the 365bhp 3.5-litre V6 turbo can only do the same sprint in 7.2 seconds. It produces 569Nm of torque. Unfortunately for tech geeks like me, the video does not explain the reason or reasons behind this. It's mainly due to the gearing set up for these trucks. When you are looking at placing an order for these trucks they give you an option for gearing. It all depends on what you're using it for, example towing or something else.